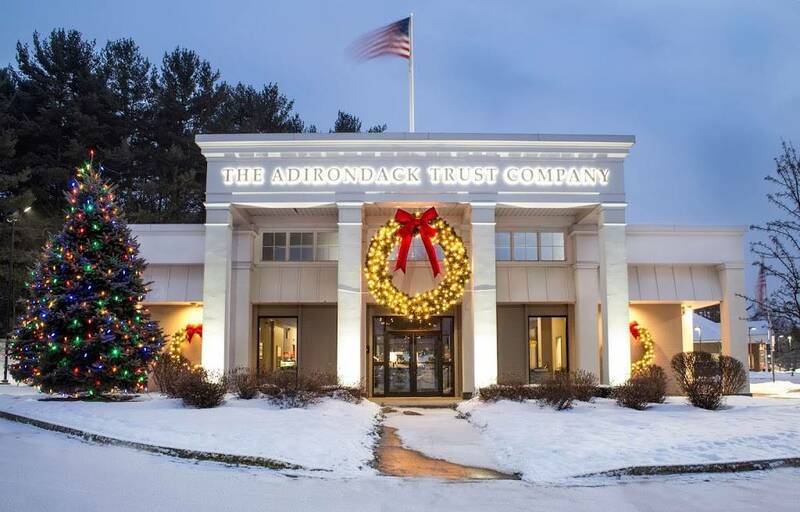 For many years, Downtown Decorations has provided holiday decor for The Adirondack Trust Company. The independent community bank has 12 branches in and around the Saratoga Springs, NY area. 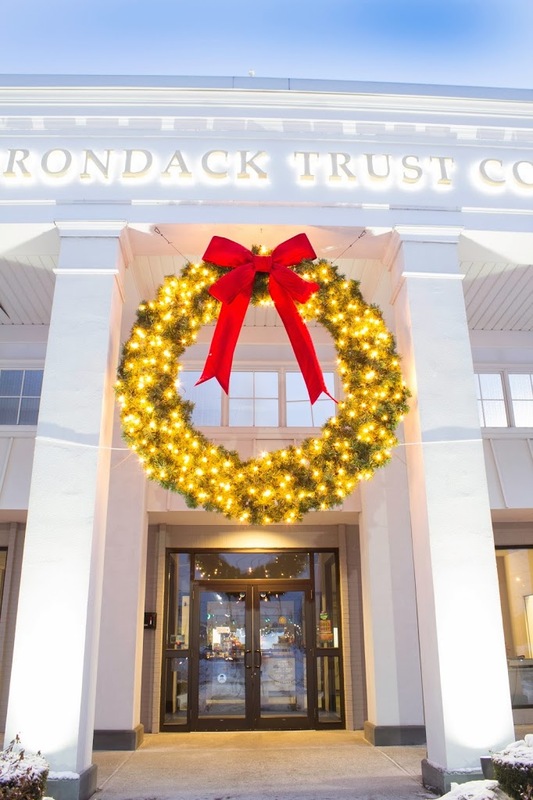 Founded in 1902, the bank has played an integral part in the development of the community and has helped turn Saratoga Springs into the thriving city it is today. Downtown Decorations works with Dehn's Flowers and Gifts, another Saratoga Springs company, on this project each year. Dehn is responsible for managing the holiday decor decisions for the bank. We create a slightly different design for each branch of the bank but most feature lights and giant wreaths. As you can see in the pictures, this location is adorned with three giant lit wreaths that are ornamented with large red bows. We think the design provides a classic and elegant look for this important locally owned company.